AFRICANGLOBE – After years of diplomatic patchwork and foot-dragging, the United States, yesterday, formally declared war on Boko Haram, classifying the Nigerian-based Al Qaeda affiliate, a Foreign Terrorist Organization (FTO). The declaration would make Washington mobilize resources and intelligence to combat the ninth deadliest terrorist group in the world. A statement issued by the US State Department, yesterday, in Washington, said the US government was invoking Section 219 of the Immigration and Nationality Act, as amended, and section 1(b) of Executive Order 13224 to designate Boko Haram and Ansaru as Foreign Terrorist Organizations (FTOs). The Federal Government which had hitherto mounted pressure on the US against taking such action, also issued a statement through Nigeria’s Ambassador to the US to explain why it accepted the US classification of Boko Haram and Ansaru as terrorist groups. According to Ambassador Ade Adefuye, the decision to declare Boko Haram and Ansaru as Foreign Terrorist Organizations, was taken at a meeting at the State Department on Friday, November 8, 2013, and they took immediate steps to inform the authorities in Abuja. The Federal government said its earlier opposition of the designation of Boko Haram and Ansaru as FTOs by the US was “because of the wider implication and exposure to stringent measures that such actions will impose on ordinary Nigerians”. But the State Department said its assistance to Nigeria stresses the importance of protecting civilians and ensuring that human rights are respected. It said designation of these groups as FTOs demonstrates U.S. support for the Nigerian people’s fight against Boko Haram and Ansaru. Activities of the radical Islamic sects have become worrisome to the United States and other countries that are uncomfortable with Boko Haram, which has been responsible for the death of thousands of civilians and security personnel across religious divides in North-East and central Nigeria since it commenced its campaign in 2002. Also operating in Nigeria, Ansaru is a Boko Haram splinter faction that earlier in 2013 kidnapped and executed seven international construction workers. With this designation, Boko Haram and Ansaru would be treated like other terrorist organizations like Hezbollah, Salafis movement or Al-Qaeda, Al- Shabbab in the Horn of Africa, Taliban in Afghanistan, Haqqani in Pakistan and Hamas in the Middle East, including Mujoa and Ansar Dine in Mali. These are global networks of jihadist organizations that want to institute orthodox theocratic states based on Islamic tenets and doctrines. They have relied on criminal activities such as drug trafficking, arms smuggling and kidnapping to raise funds for their campaign of terror worldwide. The United States has been concerned about the link between Boko Haram and Ansaru and Al-Qaeda in Magreb AQIM and the Al-Shabaab Islamic sect operating in East Africa from where the group gets its training and logistics support. Al-Qaeda in The Maghreb stretches from the North African nations of Algeria, Libya, Egypt, Sudan, to Senegal, Burkina Faso, Mauritania, Mali, Niger, Chad and Cameroon and Northern Nigeria. The consequences of these FTO and E.O. 13224 designations include a prohibition against knowingly providing, or attempting or conspiring to provide material support or resources to, or engaging in transactions with Boko Haram and Ansaru, includes freezing of all property and interests in property of the organizations that are in the United States, or come within the United States or the control of U.S. persons. The Department of State took these actions in consultation with the Departments of Justice and Treasury. These designations will assist U.S. and other law enforcement partners in efforts to share intelligence, training of security operatives in counter intelligence strategies, investigation and prosecution of terrorist suspects associated with Boko Haram and Ansaru. Security and Intelligence experts said this declaration would require the US Congress to enact relevant legislation to back the anti-terrorism campaign in Nigeria. ” There are also strong beliefs that the US might use its controversial drone programme to attack leaders of these radical groups which have declared that they would attack the US and her interests in Nigeria. Foreign Affairs Ministry sources further stated that “the classification affects members of Boko Haram sect would of course, affect innocent Nigerians while the issue of who is innocent is purely subjective so we as citizens of Nigeria will have to pay the price.”. Nigerians who have visited countries like Indonesia, Pakistan, Afghanistan, Algeria, Ethiopia, Eritrea, Senegal, Burkina Faso, Mali, Libya, Niger, Yemen, and Chad where Al-Qaeda and its affiliates are known to operate are marked out for special security scrutiny in the United States. Among its most lethal attacks, Boko Haram carried out indiscriminate attacks in Benisheikh, Nigeria in September 2013 that killed more than 160 innocent civilians, including women and children. Boko Haram has also conducted attacks against international targets, including a suicide bombing of the United Nations building in Abuja on August 26, 2011, that killed 21 people and injured dozens more, many of them aid workers supporting development projects across Nigeria. Ansaru’s attacks have focused on Nigerian military and Western targets. In November 2012, Ansaru raided a police station in Abuja, killing Nigerian police officers and freeing detained terrorists from prison. Also in January 2013, Ansaru attacked Nigerian security services when its members ambushed a convoy of Nigerian peacekeepers. Ansaru has also conducted several kidnappings of foreigners living and working in Nigeria. Ambassador Adefuye further said that the action of the US State Department would not affect relations between the two countries negatively. He said “The Embassy wishes to assure American investors and tourists that our country remains a favourite destination for investors and tourists”. He said “Every nation has its security challenges in one section of its geographical entity. 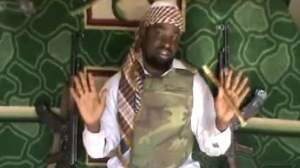 The threat of Boko Haram exists in some parts of the 36 states of Nigeria. According to the envoy, there are “many American investors who are presently in Nigeria and we have received firm assurances from the host authorities that the declaration is only to speed up the process of ending Boko Haram atrocities. The intensity of US-Nigeria relations will not in any way be adversely affected: The Nigeria-US Bi-National Commission will continue to be implemented with vigour. Our citizens will not be subjected to unnecessary harassment at Immigration border posts. The economic, social and political ties with the United States will continue to wax stronger”. Next articleAre Things Falling Apart In The African American Community?